The best full-color, theater-quality PAR30 luminaire for E26 sockets. 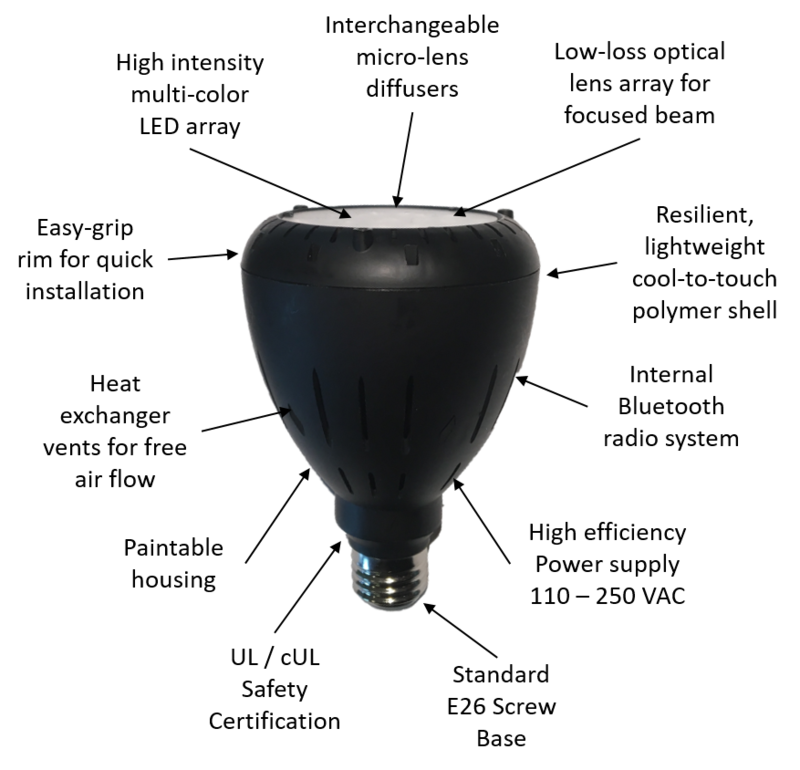 A patented Color-adjustable RGBLW directional lamp with built-in full-range dimming that’s available with DMX and Bluetooth control. 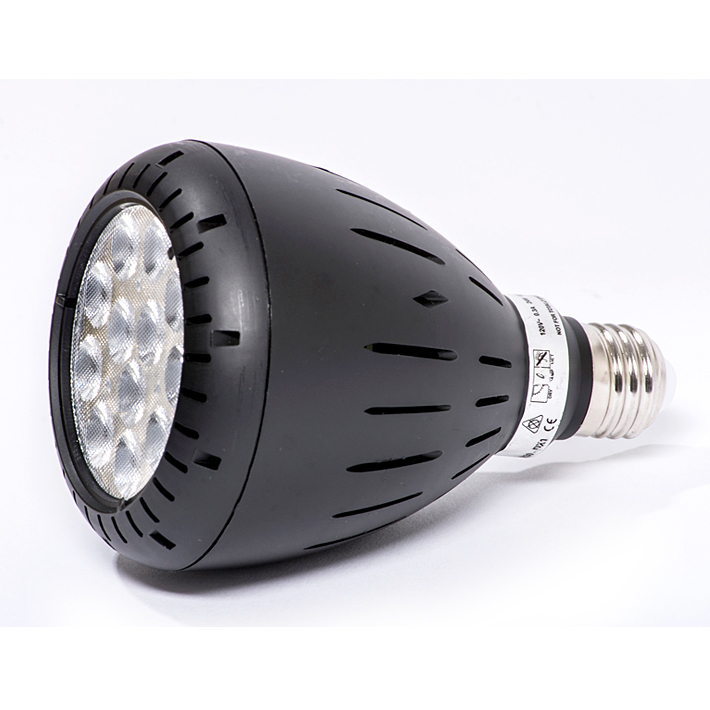 The ZOBO series is a surprisingly bright retrofit PAR30 size family of lamps with wireless remote control. Unlike regular color tunable LEDs, the ZOBO uses the exclusive Luxium light engine for producing an extra wide gamut of colors and blended pastels or a range of precise white settings with no flicker and increased efficiency. 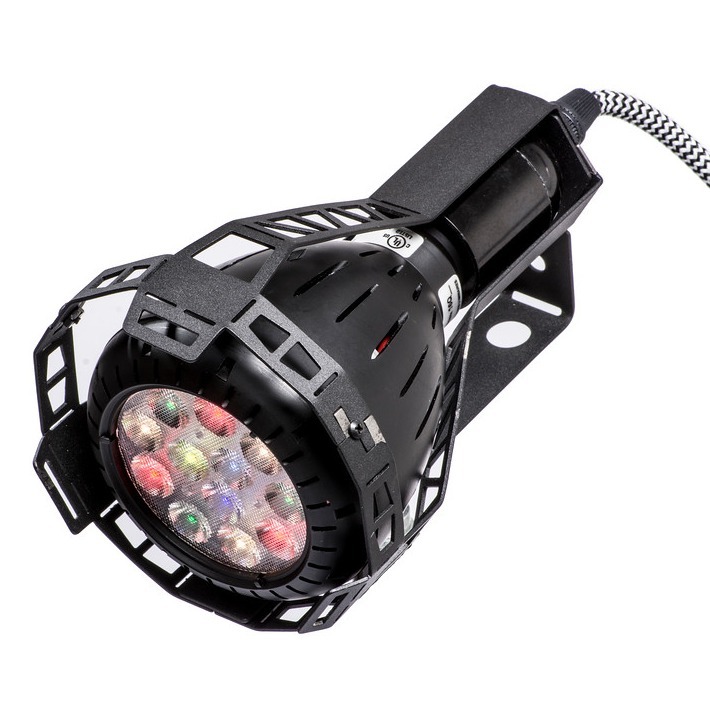 The ZOBO is ideal for creating colorful wash lighting or calibrated white CCTs with flicker free dimming for tracks, border lights, ceiling down-lights, par can fixtures, and so on. Use the ZOBO in groups or as stand-alone lights for dramatic effects in clubs, events, theaters, auditoriums, stores, galleries, homes and more. Every product in the ZOBO family uses the unique 6-channel color LED blending engine made by Luxium. For various kinds of control requirements the ZOBO comes in two basic styles. The Zx series uses Bluetooth control for setup and operation. The ZRxx series uses DMX control and a DIP switch for addressing and mode setting. The Z2 and Z3 models are available with wireless control when using the LuxiumApp and Bluetooth system. Look for the free mobile app on the Apple App Store or on Google Play. For professional DMX512 control, the ZR30 and ZR20 models are available with DMX512 control. The ZR30 has wired DMX control using RJ45 connectors and a configuration option to include a wireless DMX module. In the wired plus wireless DMX configuration the ZR30 is able to act as a DMX hub for daisy chain installations of multiple wired DMX lights. 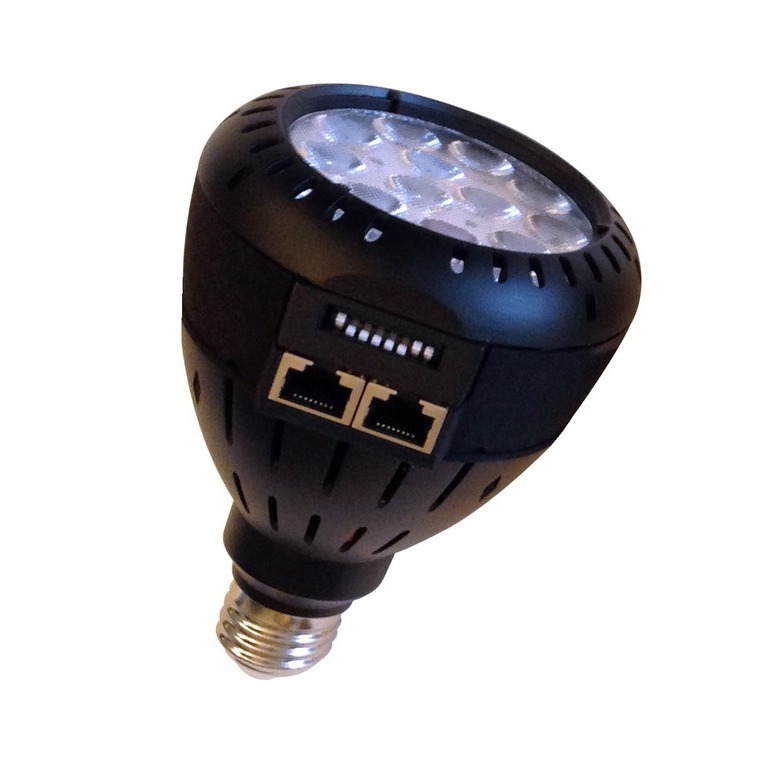 The ZR20 comes with wireless DMX control only. Both the ZR30 and ZR20 styles use a DIP switch for address and stand-alone mode setting. ZR30: 1800 full white lumens – 24W / 85~265VAC, Wired DMX control with RJ45 connection plus wireless DMX option. Many configurations and versions of the ZOBO family are available. Contact us for more information about the product that’s right for you. Prices start at $199.